Sisters Kendall and Leesa Hovius of Tabernacle have been active members of the Girl Scouts Organization together for nine years. Since they were small girls, these two having been doing big things — some of the most significant taking place in the past year. Over the past 12 months, Kendall has been involved in a variety of programs spanning from learning about dog sledding to medieval times, Greek mythology and even chocolate. She has also camped at Camp Inawendiawin, attended a performance of the Cirque De Soleil and marched on the field at Scout night at the Trenton Thunder baseball game at Arm and Hammer Park in Pennsylvania with her sister. Next, she plans to accompany her troop on a trip to Sweet and Sassy, a destination for salon, spa and party celebrations, riding there in a limo. Entering eighth grade in the fall, Kendall has most recently earned her Service to Community Award, earned by spending more than 20 hours fostering adoptable dogs through Joe Joe’s Place Animal Rescue. 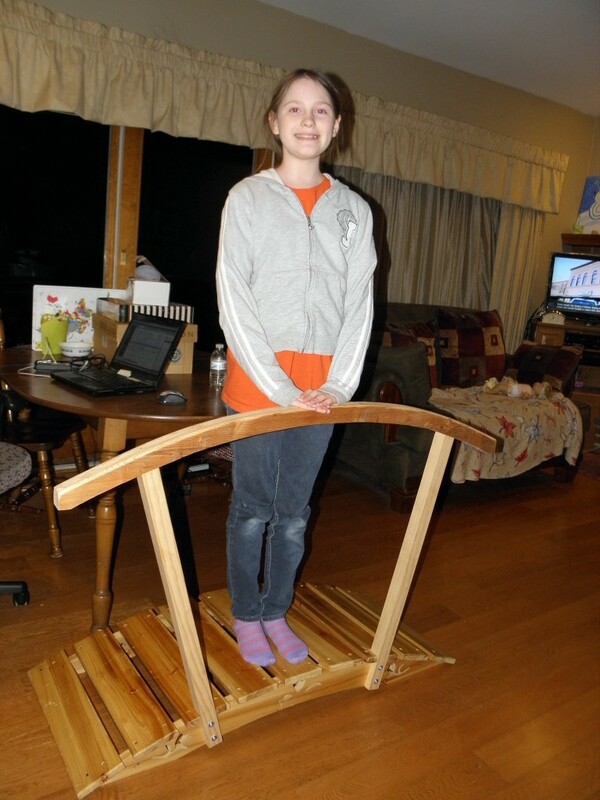 She has also earned her Good Sportsmanship Badge and Bronze Award in April 2015 when she gave back to the organization by adding handrails on a small bridge the troops use to “bridge.” “Bridging” is a walk taken across a small bridge made when moving from one level within Girl Scouts to another. Similarly, her older sister, Leesa, attributes her involvement in the Girl Scouts to a variety of positive attributes. She notes that Girl Scouting has encouraged her to become a strong, friendly, independent, young woman, and that her social skills have improved through activities involving communication with Girl Scouts of all ages, races and nationalities. Through the organization, her outlook on the world has changed from being more inward-focused to one enabling her to be a person who is constantly growing and looking for ways to improve herself and the world around her. In the past year, Leesa has volunteered with Camp Inawendiawin and at other program events such as outdoor cooking, hiking, making “Special Whatchamacallits Affectionately Pinned Somewhere” and singing silly songs. She also belongs to Girls In Engineering, Math or Science, a program for older Scouts run by the council. Through Scouts, she has also recently earned recognition for American Red Cross Small Craft Safety Canoe and Kayak Training. Other awards she has received include the Girl Scout Silver award, the highest award a Girl Scout in grades six, seven or eight can earn. She is in the process of earning her Girl Scout Gold Award, and in doing so, she is completing a project dealing with the issues surrounding the adoption of rescue dogs. Together, the two girls have been able to practice and improve their overall communication skills through their endeavors. While getting to meet so many other girls and leaders through the organization, being involved together also strengthens their sisterly bond and relationship.